a unique diversity of wildlife - a water world transforming an arid land into a wildlife paradise. the Bushmen, in truth, the Kalahari presents diverse landscapes to explore. Day 1 — Depart from Maun, or Victoria Falls and arrive at your first camp. Your safari begins this evening when you discuss, with your guide, what you would like to do the following day. The options are numerous; game drives, fishing, walking or boating. Day 2 — Two safaris are offered daily - one in the morning, returning to camp for lunch and a siesta, followed by an afternoon safari. The afternoon safari is often extended into a night drive with the aid of powerful hand-held spotlights. Safaris are conducted in open four-wheel-drive vehicles or you may wish to experience the magic of gliding through the silent waters of the Delta in a Mokoro (delta canoe) guided by an expert ‘poler’. You may also discover the wonders of Africa on foot; your guide will arrange a walking safari for you. Whatever you choose - back at camp a hot shower awaits you and a large campfire to relax by while you swap safari tales. YOUR SAFARI CAMPS - in the Delta and Moremi the camps are small allowing for personalized attention. There are many to choose from, but whichever it may be you will have an exciting adventure in this pristine part of Africa. Chobe National Park is a short drive from Victoria Falls or a flight from one of the Delta locations. Whichever direction you arrive from you will find this an excellent addition. Day 1 — Early arrival to Chobe National Park. After settling in you will have an afternoon safari in open vehicles and view a vast selection of African big game - elephant, lion, leopard, buffalo and many other species. Day 2 — Morning and afternoon game drives, the rest of the time spent relaxing and enjoying the view. Day 3 — Early morning game viewing before continuing to your next adventure destination..
Day 1 — Arrive in Maun - gateway to the famous wildlife areas of Botswana. Head towards the Kalahari Game Reserve. Day 2-4 — The next few days explore the Kalahari, via 4-wheel drive landrovers. The desert supports a great diversity of fauna and flora and you will learn about this fragile ecosystem. You could encounter gemsbok, lion, leopard, brown hyena, giraffe, wildebeeste, and many other species. It’s not really the quantity you find, but rather the environment in which they are found that is so intriguing. Your evenings spent around the fire are an integral part of this unique experience. Day 5 — Depart for your next adventure. Zimbabwe - the former kingdom of Monomatapa with a fascinating and checkered history is a young country in the making. Zimbabwe’s spectacular scenery includes the awe-inspiring Victoria Falls, the enigma of Zimbabwe Ruins, the granite-domed hills of the Matopos, and the exhilarating mountains and valleys of the eastern border. Much of the country has been set aside as national parks and wildlife estates; here a breathtaking variety and quantity of game can be observed. Day 1 — Arrive in Hwange and transfer to the accommodation of your choice. Day 2 — Early morning and evening gameviewing with maximum opportunity to view the large variety of animals and birds which abound. Day 3 — At leisure before departing. You may choose to extend your stay in Hwange and learn more about this area. Day 1 — Arrive in Kariba, where you will transfer, by boat or private plane, to the lodging of your choice. Day 2 — During your stay you will have game viewing on foot, in open vehicles or in specially-constructed boats. Platforms and blinds are positioned along the lakeshore for serious photographers and ornithologists. Day 3 — Morning game viewing before returning to Kariba and your onward flight. The above itineraries, Kingdom of Monomatapa and Water Wilderness, show the minimum time recommended in these two areas. It is suggested that if time permits you explore these safari destinations in more depth. Victoria Falls complements any African tour and is a natural stop while in Zambia, Botswana or Zimbabwe. This is one sight in Africa that every visitor wants to see. The Victoria Falls have always been considered one of the natural wonders of the world. At the height of the floods the impact of so much falling water raises clouds of vapor that can be seen more than 20 miles away. Because of this the Falls have been know for centuries as Musi-oa-Tunya - ‘The Smoke that Thunders’. Day 1 — Arrive at Victoria Falls or Livingstone and transfer to your accommodation. Relax and enjoy this tranquil setting, walk along the Falls and view one of the most beautiful waterfalls in the world. Perhaps a Sundowner Cruise, visit the Cultural Center, or take in the native dances. Day 2 — This morning is free to do as you wish. Take a final look at one of the wonders of the world by foot or on the ‘Flight of the Angels’, visit the crocodile farm, white water rafting, bungee jumping or just relax by the pool. Day 3 — Depart today and continue with your journey. Time permitting you can extend your stay and further explore this area of the Zambezi River. Canoe safaris are an exciting way to get an in-depth appreciation of the Zambezi River. The safaris are relaxed and leisurely with the participants able to experience the excitement of the Kariba Gorge, the laziness of the open flood plain and the scenic beauty of the Mupata Gorge. These safaris are accompanied by an experienced canoeist who has extensive knowledge of the River. The canoes can be handled quite easily by persons who have no previous canoeing experience. The trips vary in length from two nights for those with limited schedules to nine nights for those with more time. From Kariba to Chirundu, this safari is ideal for those with limited time. 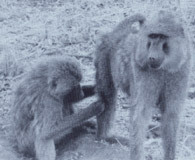 Participants experience the Kariba Gorge and the laziness of the open floodplain. From Kariba to Nyamepi Camp - Mana Pools. This is the most popular of the canoe safaris. There is great contrast from the brooding shadows of Kariba Gorge to the bright sun-drenched flood plain of the Mana Pools National Park. From Chirundu to Kanyemba this is for those in search of wilderness country, and for those seeking an in-depth appreciation of the River. This safari gives a full taste of the Mana Pools flood-plain as well as the thrill of Mupata Gorge, considered by many to be more scenic and exciting than Kariba Gorge. These countries are in the southern hemisphere and therefore have reversed seasons. Travel is most comfortable during the months of March to November, with dry, sunny days in the 60s and 70s, and crisp mornings and evenings. The temperatures get much hotter in October and November. Walking safaris in Zambia usually start around June.